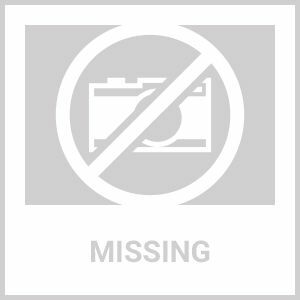 Lafeber's Nutri-Berries Parrot, 12 OZ, 3.25 Lbs, Or 20 Lbs. 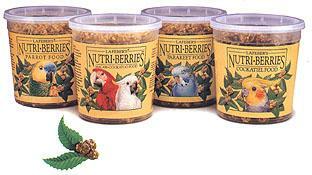 Classic Nutri-Berries for Parrots are excellent as a complete meal or as a special treat. Most of all, you feathered friend will know its special when you serve Nutri-Berries! Parrots are intelligent creatures, they know what they want to eat, and if the good stuff is presented to them in an atractive fashion, such as the Nutri-Berry, they will tear into it and eat the goodness contained inside. Each Nutri-Berry contains savory peanuts, hulled canary seed, cracked corn and other tempting ingredients. They are colorful, richly textured and invitingly shaped. It's a difference your parrot can see, taste and touch. Everything we know, everything your bird knows about eating right - all rolled into one. Parrot Nutri-Berries were designed to provide your African Grey, Amazon, Eclectus, and similar sized parrots with a variety of beak and tongue sensations. The irresistible berry shape and variety of ingredients meets their nutritional and behavioral needs. Your feathered friend will love holding, pulling and tearing at each berry. Believe it or not, your parrot's food can be both exciting and nutritious.